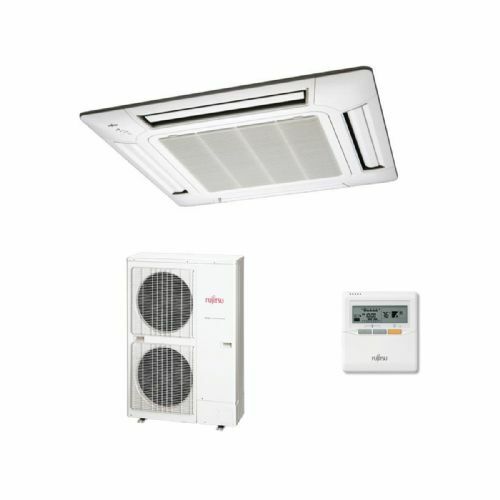 The new advanced Fujitsu air conditioning AUYG standard 4 way blow cassette range has now been extended to include new smaller capacity INVERTER system starting at 8.5kW / 30000Btu, and an high efficiency system 14kW / 48000Btu at the top end of the standard cassette range. The 7-Day Programmable Timer now included in the standard controls specification and 24Hr control. 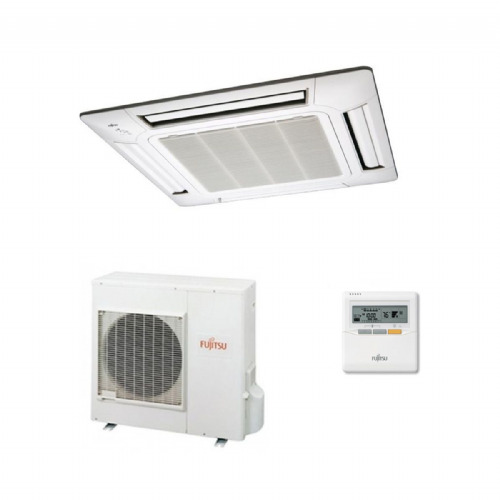 Fujitsu air conditioning and heat pump high performance inverter compact cassette series split systems designed for residential and commercial application such as offices, shops, meeting rooms, restaurants, hotels, clubs, gyms, and open plan areas.